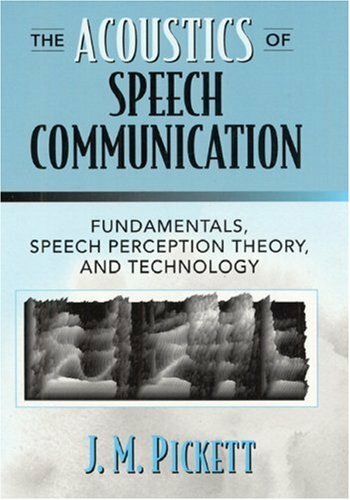 This is a fine book for approaching the field of speech communication. It includes lucid presentations of key concepts such as phoneme, phone, allophone, units, formants and the Bernoulli's effect. Every chapter closes with a summary, a great tool for reinforcing what you have learned through the chapters. Chapters 1-10 are introductory material, and following chapters discuss more advanced topics, such as models of perception. Application developers will also benefit from a summary of potential acoustic cues from articulatory features (p. 152). Finally, the appendices constitute great teaching and researching resources. If you are completely new to he field, I would suggest to read first "The Speech Chain" by Denes & Pinson, then Chapters 1-10 of this book. 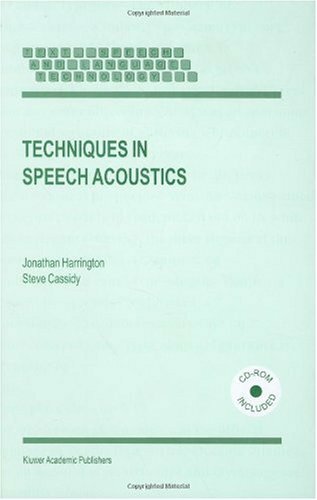 Later on, you may follow with "Acoustic Phonetics" by Stevens, "Acoustic Theory of Speech Production" by Fant, "Speech Processing" by Deng and O'Shaugnessy, and "Spoken Language Processing" by Huang et al. Great textbook. Not the easiest in the world but surely the most comprehensive for a Speech Science course. Thoroughly sound. Don't think there is another like it. Using it in our course with excellent response from students. 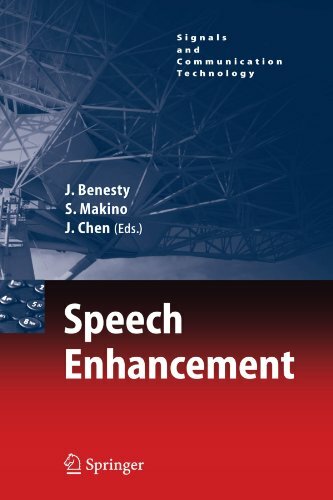 This is the first book to treat two areas of speech synthesis: natural language processing and the inherent problems it presents for speech synthesis; and digital signal processing, with an emphasis on the concatenative approach. The text guides the reader through the material in a step-by-step easy-to-follow way. 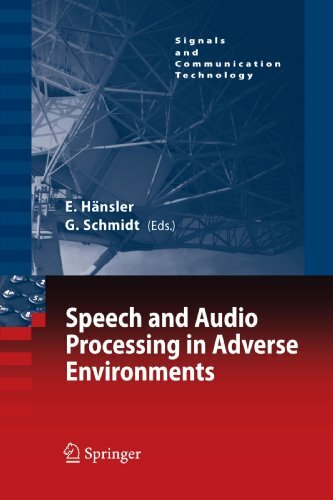 The book will be of interest to researchers and students in phonetics and speech communication, in both academia and industry. The book gives a nice overview of the field and is well organized.My only complaints are that it's getting a little dated and modern techniques are only mentioned in passing or are not present at all.The second small flaw is that the author is clearly not a native English writer and apparently no native English writer edited the final version.If the author were to create a second edition with a little more of the modern techniques covered and with all the awkward English corrected by a native English writer this would be a gem that would hold up for many more years. A survey of common practice in TTS sytems together with major limitations as well as research directions. Generally well written, I would prefer more precise technical details though. Automated question answering - the ability of a machine to answer questions, simple or complex, posed in ordinary human language - is one of today’s most exciting technological developments. It has all the markings of a disruptive technology, one that is poised to displace the existing search methods and establish new standards for user-centered access to information. This book gives a comprehensive and detailed look at the current approaches to automated question answering. The level of presentation is suitable for newcomers to the field as well as for professionals wishing to study this area and/or to build practical QA systems. The book can serve as a "how-to" handbook for IT practitioners and system developers. It can also be used to teach advanced graduate courses in Computer Science, Information Science and related disciplines. The readers will acquire in-depth practical knowledge of this critical new technology. 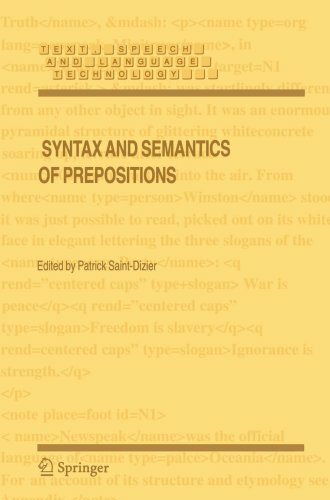 This is the first book to provide an integrated view of preposition from morphology to reasoning, via syntax and semantics. It offers new insights in applied and formal linguistics, and cognitive science. It underlines the importance of prepositions in a number of computational linguistics applications, such as information retrieval and machine translation. 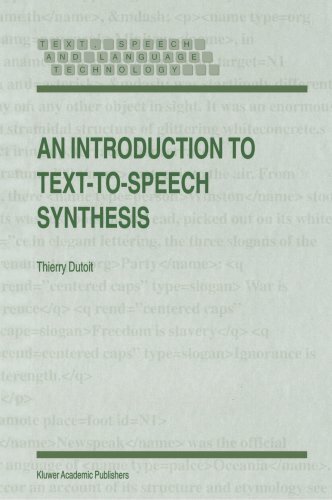 The book presents a wide range of views and applications to various linguistic frameworks. Considerable amount of space is covered by multi-microphone systems, specific approaches for noise reduction, and evaluations of speech signals and speech processing systems. Multi-microphone systems include automatic calibration of microphones, localisation of sound sources, and source separation procedures. Also covered are recent approaches to the problem of adaptive echo and noise suppression. A novel solution allows the design of filter banks exhibiting bands spaced according to the Bark scale und especially short delay times. Furthermore, a method for engine noise reduction and proposals for improving the signal/noise ratio based on partial signal reconstruction or using a noise reference are reported. A number of contributions deal with speech quality. Besides basic considerations for quality evaluation specific methods for bandwidth extension of telephone speech are described. Procedures to reduce the reverberation of audio signals can help to increase speech intelligibility and speech recognition rates. In addition, solutions for specific applications in speech and audio signal processing are reported including, e.g., the enhancement of audio signal reproduction in automobiles and the automatic evaluation of hands-free systems and hearing aids. Researchers in a number of disciplines deal with large textsets requiring both text management and text analysis. 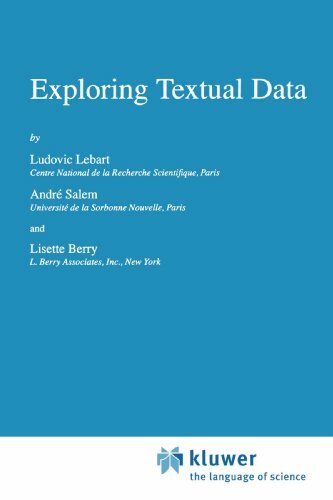 Faced with alarge amount of textual data collected in marketing surveys, literaryinvestigations, historical archives and documentary data bases, theseresearchers require assistance with organizing, describing andcomparing texts. 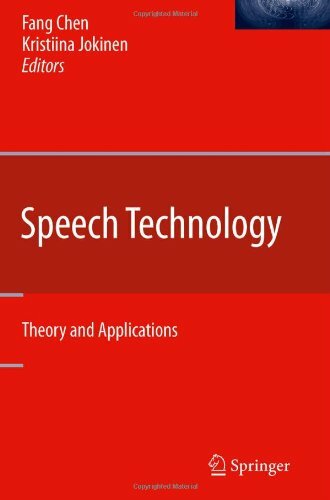 Speech dereverberation is a signal processing technique of key importance for successful hands-free speech acquisition in applications of telecommunications and automatic speech recognition. Over the last few years, speech dereverberation has become a hot research topic driven by consumer demand, the availability of terminals based on Skype™ which encourage hands-free operation and the development of promising signal processing algorithms. Speech Dereverberation gathers together an overview, a mathematical formulation of the problem and the state-of-the-art solutions for dereverberation. Speech Dereverberation presents the most important current approaches to the problem of reverberation. It begins by providing a focused and digestible review of the relevant topics in room acoustics and also describes key performance measures for dereverberation. The algorithms are then explained together with relevant mathematical analysis and supporting examples that enable the reader to see the relative strengths and weaknesses of the various techniques, as well as giving a clear understanding of the open questions still to be addressed in this topic. Techniques rooted in speech enhancement are included, in addition to a substantial treatment of multichannel blind acoustic system identification and inversion. The TRINICON framework is shown in the context of dereverberation to be a powerful generalization of the signal processing for a important range of analysis and enhancement techniques. 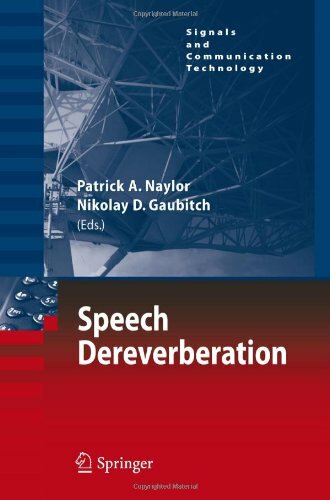 Speech Dereverberation offers the reader an overview of the subject area, as well as an in-depth text on the advanced signal processing involved. The book benefits the reader by providing such a wealth of information in one place, defines the current state of the art and, lastly, encourages further work on this topic by offering open research questions to exercise the curiosity of the reader. It is suitable for students at masters and doctoral level, as well as established researchers. Parsing technologies are concerned with the automaticdecomposition of complex structures into their constituent parts, withstructures in formal or natural languages as their main, but certainlynot their only, domain of application. The focus of Recent Advancesin Parsing Technology is on parsing technologies forlinguistic structures, but it also contains chapters concerned withparsing two or more dimensional languages. New and improved parsing technologies are important not only forachieving better performance in terms of efficiency, robustness,coverage, etc., but also because the developments in areas related tonatural language processing give rise to new requirements on parsingtechnologies. Ongoing research in the areas of formal andcomputational linguistics and artificial intelligence lead to newformalisms for the representation of linguistic knowledge, and theseformalisms and their application in such areas as machine translationand language-based interfaces call for new, effective approaches toparsing. Moreover, advances in speech technology and multimediaapplications cause an increasing demand for parsing technologies wherelanguage, speech, and other modalities are fully integrated. The main topic of this volume is natural multimodal interaction. The book is unique in that it brings together a great many contributions regarding aspects of natural and multimodal interaction written by many of the important actors in the field. 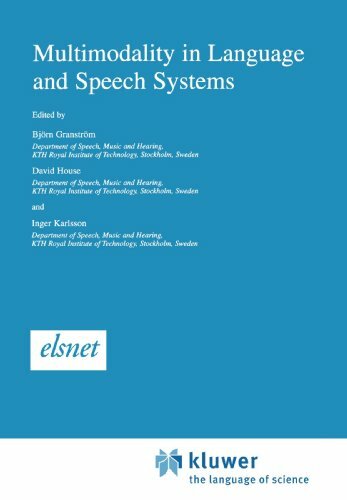 It is a timely update of Multimodality in Language and Speech Systems by Björn Granström, David House and Inger Karlsson and, at the same time, it presents a much broader overview of the field. Its 17 chapters provide a broad and detailed impression of where the fairly new field of natural and multimodal interactivity engineering stands today. Topics addressed include talking heads, conversational agents, tutoring systems, multimodal communication, machine learning, architectures for multimodal dialogue systems, systems evaluation, and data annotation. 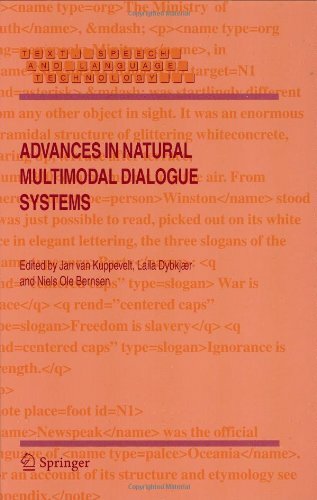 This title will prove very valuable to scientists, researchers and practitioners working in the fields of natural interactive systems, multimodal systems, conversational agents, spoken dialogue systems, natural language processing applications, advanced human-computer interfaces, analysis of multimodal data, evaluation of multimodal systems, and educational systems. A strong reference on the problem of signal and speech enhancement, describing the newest developments in this exciting field. The general emphasis is on noise reduction, because of the large number of applications that can benefit from this technology. This is the book you need! I am a serious amateur singer, and have read many books on singing. This is the book we needed. It discuses singing and tone production in terms of real, physical adjustments, verifiable with the included voice spectrograph, rather than mystical exhortations to "make the tone come out of the top of your head" type of instructions. The major components of correct tone production are discussed, along with the major vocal flaws.The vocal flaws are identified, their causes clarified, and corrective actions recommended. This is the diamond in the gravel, don't leave home without it! 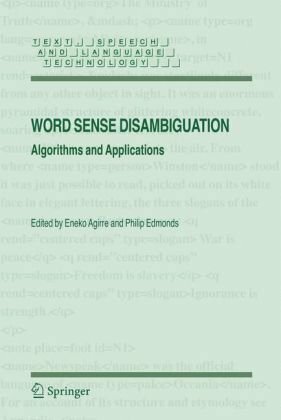 This is the first comprehensive book to cover all aspects of word sense disambiguation. It covers major algorithms, techniques, performance measures, results, philosophical issues and applications. 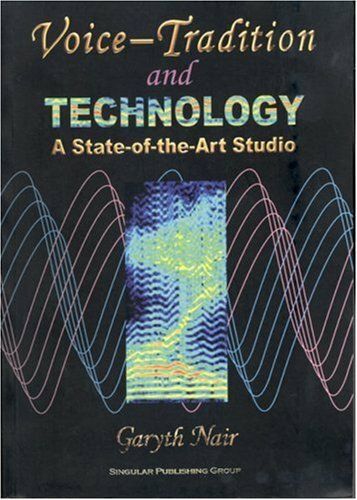 The text synthesizes past and current research across the field, and helps developers grasp which techniques will best apply to their particular application, how to build and evaluate systems, and what performance to expect. An accompanying Website extends the effectiveness of the text. 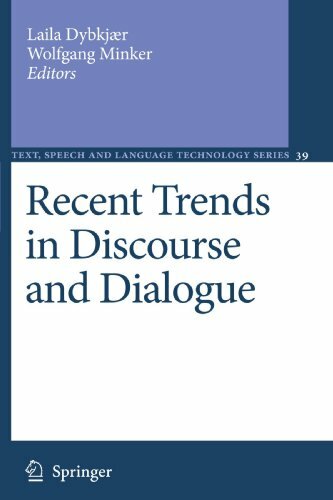 The eleven chapters of this book represent an original contribution to the field of multimodal spoken dialogue systems. The material includes highly relevant topics, such as dialogue modeling in research systems versus industrial systems. The book contains detailed application studies, including speech-controlled MP3 players in a car environment, negotiation training with a virtual human in a military context and the application of spoken dialogue to question-answering systems. This book provides an in-depth discussion of the field ofsyntactic wordclass tagging, i.e. the annotation of the words in atext with tags indicating their syntactic properties. Represented arethe viewpoints of the two main groups who take an interest in tagging:the users of tagged text and the developers of tagging software. The book starts out by examining the field foremost from the user'spoint of view. After a brief historical overview, the nature and usesof tagging are discussed and current practice is described. Here theuser will find what tagging is and the software developer what it isthe user wants. In this book we address robustness issues at the speechrecognition and natural language parsing levels, with a focus onfeature extraction and noise robust recognition, adaptive systems,language modeling, parsing, and natural language understanding. 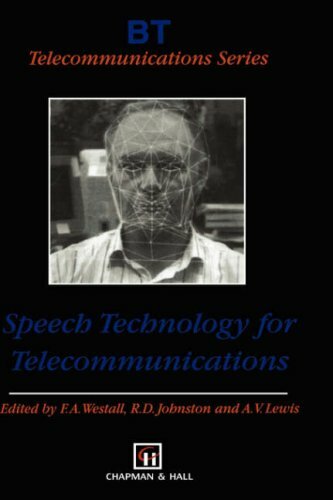 Thisbook attempts to give a clear overview of the main technologies usedin language and speech processing, along with an extensivebibliography to enable topics of interest to be pursued further. Italso brings together speech and language technologies often consideredseparately. New Trends in Speech Based Interactive Systems will give an overview of the research and application of speech technologies in different areas. The basic technology development areas include: Automatic speech recognition technology, speech synthesis, spoken interaction, natural language understanding, speaker recognition, emotion in spoken dialogue systems, expressive speech synthesis, affective computing, multimodal communication, interaction technologies, and animated agents. The application areas include: in-vehicle information system and interaction, military application, other industrial applications such as for space, air traffic control, or complicated control room interaction, simulator control, etc., and application for special users and in entertainment systems. General design and usability evaluation methodologies from the user’s perspective will also be included in the book. The overview of each technology includes: 1. The history and the development of the technology. 2. What are the hot research topics/interests in the technology? 3. What kind of mistakes/assumption that people has tried, so to avoid repeating the mistakes. 4. What can be the special interests/problems in different application areas? 5. The trend of the technical development in the coming few years. The overview of each application area includes: 1. The history of the application studies. 2. What kind of speech technologies are interested in the application. 3. The analysis of the factors that affect the real-time application. 4. What can be the possible usability requirements and interaction design problems? 5. The trend of the research focus in the coming few years. One of the special characteristics of the book is that the authors will not just present their own research work, but take a broad view of the multiple research areas and take the multidisciplinary approach to the topics. One of the goals in this book is to emphasize the application. User experience, human factors and usability issues are the focus in this book.